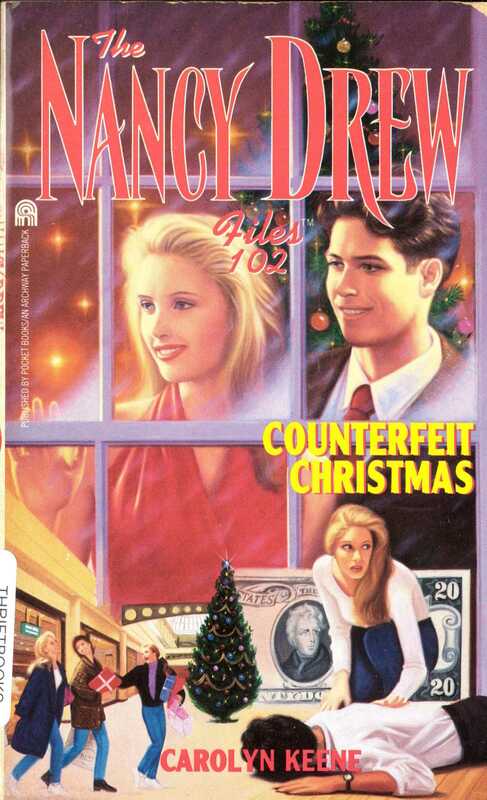 When crime crashes in, Nancy finds that the money may be fake, but the danger is all too real! Bess has gotten a real surprise for Christmas: two crisp new twenties that turn out to be fake. Her aunt, who works at River Heights magazine, unwittingly passed them along, and Nancy's out to trace the funny money to is source. But there's one very big distraction: suspect Stuart Teal. He has looks to die for...and clearly has designs on Nancy. Stuart may want to corner the market on Nancy's affections, but she can't afford to take the chance...especially when another top suspect is found dead. Drawn into a world where greed rules and life isn't worth a plug nickel. Nancy has no choice but to keep her eye on the bottom line. She's searching for a counterfeiter who fits the bill of a murderer.